Pokemon Go celebrates its first birthday! 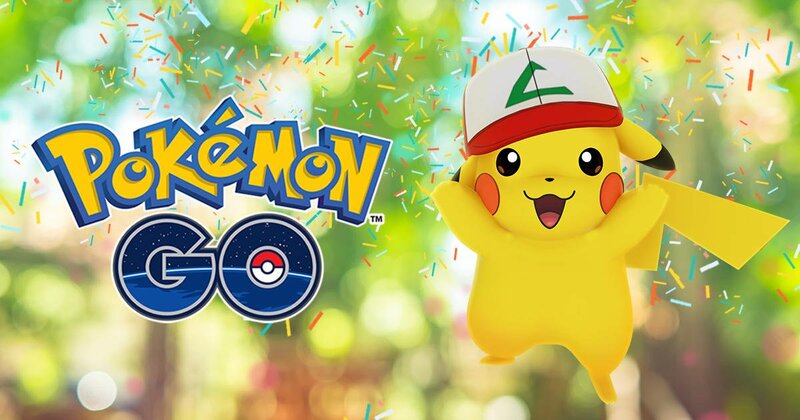 On the occasion of the anniversary, developer Niantic will offer the players a special Anniversary Box against in-game currency and a Pikachu with the Ash's famous hat. Pokemon Go celebrates its 1st anniversary. During this time players can catch special Pikachu, which wear the hat of Ash from the original series. In addition, the developers provide a special Anniversary Box in the shop, which can be purchased for 1,200 PokeCoins (in-game currency, converted € 10.99). In the box are 6 Incubators, 6 Max Revives, 2 premium Raid Passes and 20 Ultra Balls. The event starts on 6 July and ends on July 24 (10 pm of our time). Celebrate Pokemon Go's first year by catching Pikachu wearing Ash's famous hat from the Pokemon animated series! You can find more news and tips about Pokemon Go on our theme page.